That bloom is unusual and beautiful. Wouldn't it just make a great addition to an arrangement. 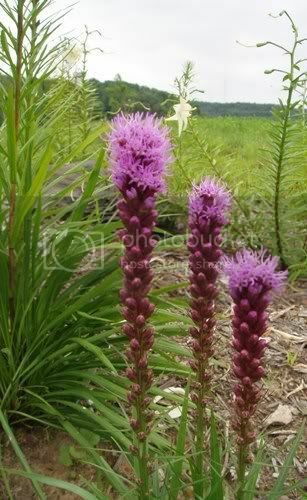 What an attractive plant your Liatris is. I love the colour!!! Beautiful plant and lovely color, my fav. I had a Liatris and it produced 2 stalks, but they didn't get full like yours appears. And then it croaked!! Many of the plants in my garden need to be hardy enough to survive neglect. :) I'm lucky with this one, I guess.